It was raining from the morning as forcasted. So we gave up riding the motorcycle to Schaffhausen. I made a little research about Mauritania. The most interesting tradition I found was "Gavarju" fattening up young girls. In Mauritania, obeased women are considered more beautiful. And also to foster obeased daughters and to have obeased wife(s) is the status of men. Young girls are forced to eat a lot: 8-10 litres of Camel milk with lots of sugar a day, 2kgs of CousCous mixed with lots of sugar each meal!! If they do not eat a lot, they would be pinched their toes (often crushed). In our society, losing weights is the fad but in Mauritania, it is totally opposite. 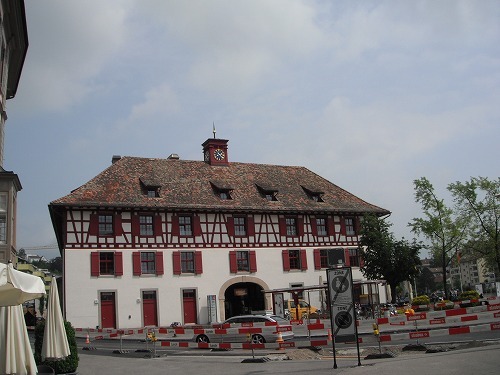 Uwe drove me to Schaffhausen, the town near the border to germany, on the motorway. There were many tunnels we drove through. 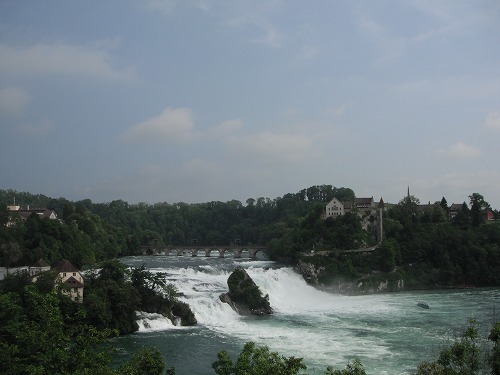 I thought Schaffhausen would be a small country town, but it was quite developed. There was a statue of William Tell, the hero of Siwss Independence. The main street was a promenado. It became sunny, good. 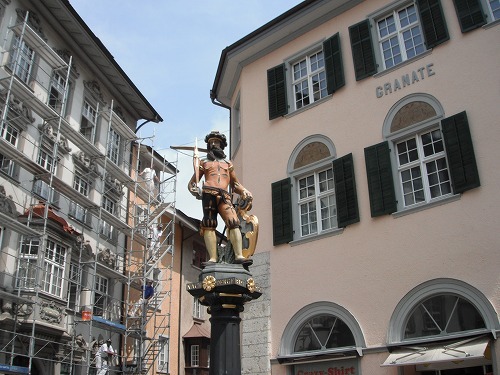 Why we came to Schaffhausen? Because I wanted to visit "IWC". It's not "IWC" of International Whaling Commission, but it's International Watch Co. 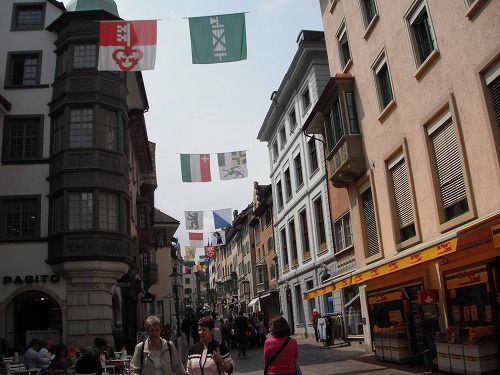 Yes, Switzerland is famous for watchmaking. 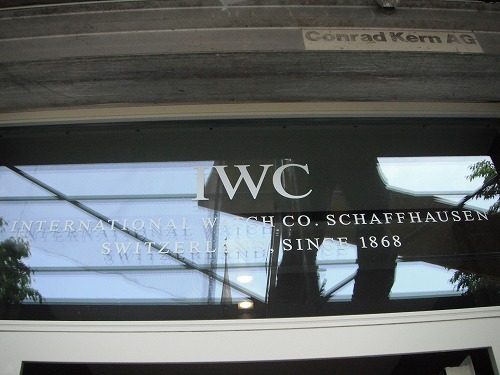 Actually watchmaking industry is more concentrated in French side of Swiss such as Geneve, but "IWC" of Schaffhausen is a famous brand for all watch collectors. Especially it is famous for its pilot watches. There was a small museum at the main building of IWC. It cost SFr. 6 to go in. Unfortunately photograph was prohibited. They had ranges of watches from the past to present, including my favorite Mark XI pilot watch. 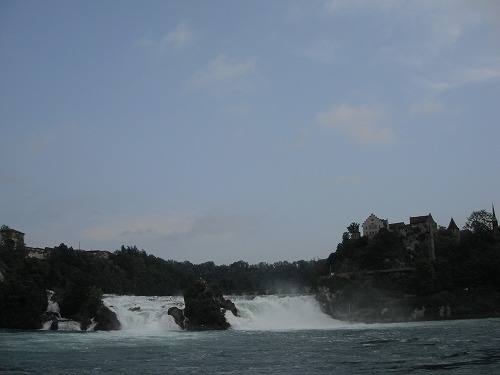 Then we went to see "Rheinfall" nearby. River Rhein flows from Switzerland, through Germany and Netherlands to North Sea. Comparing to Las Cascadas de Iguazu, it was smaller (of course), but with melting water from Alps, there was enough water and it was spectecuar. Back home, when I checked mails, my friend Tatsuya sent me information on obtaining visas for those middle eastern and central Asian countries. Thanks Tatsuya! 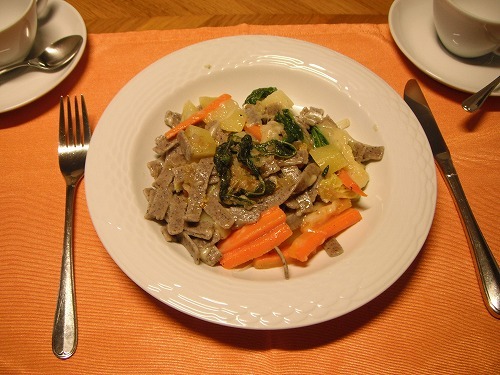 Uwe and Laura cooked "Pizzoccheri di Poschiavo" a traditional pasta dish from the highland of Southeast Switzerland. The pasta was made from buckwheat. They boiled cabbages, carrots, and potatos with the pasta, then mixed with lots of cheese. It was interesting for me as Japanese eat buckwheat noodle cakked "Soba". When I put the pasta in my mouth, it was certainly nuckwheat noodle. But soon the taste of cheese overwhelmed. 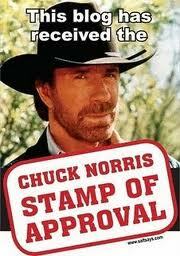 I liked it! Tomorrow I am visiting Franco in Zurich.